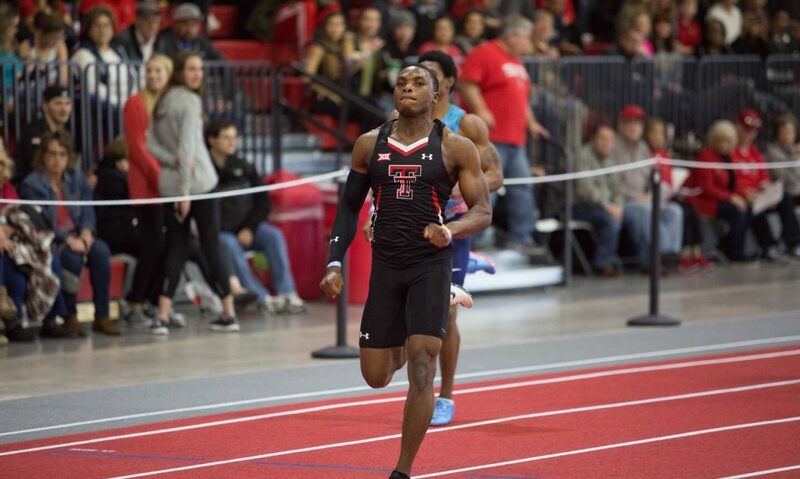 Nigeria’s Divine Oduduru ran a personal best in the 60m event at the Texas Tech Shootout on Friday. Oduduru had ran a season best 6:62 in the semis before clocking 6:56 to win the race ahead of Red Raiders duo, Jacolby Shelton who finished second in 6:67 and sixth placed Keion Sutton in a time of 6:75. The reigning outdoor 200m champion tied the school record set by Andrew Hudson two weeks ago at the Texas Tech Classic. Oduduru who has played a huge role in Texas Tech’s relay squad, which ranks sixth in the nation is also trying out his abilities in the 60m indoor race. Speaking to the school’s official website texastech.com, assistant coach Calvin Robinson heaped praises on the Nigerian after coming off a week of training. “We went back to work and fixed some things to make sure he was confident with what he was doing,” Robinson said. The Silver medallist at the 2018 African Senior Athletics Championship has competed in three meets so far this season in Texas Tech. He was among 19 student-athletes recognised by the Bowerman at the halfway point of the indoor season. His recognition comes as one of top-10 track and field athletes after being named to the preseason watch list.The Bowerman is considered the highest accolade a collegiate track athlete can earn.